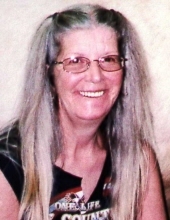 Katherine Major Holman, age 68, of Mt. Vernon, Missouri, passed away at 3:27 a.m. on Thursday, March 21, 2019, at Mercy Hospital in Springfield, Missouri. She was born April 27, 1950, in Shenandoah, Iowa, the daughter of Edward and Joyce (Gray) Major. On August 24, 2007, she married Winfred Holman, in Las Vegas, Nevada. Katherine is survived by her husband of 11 years, Winfred; one son, Steve Perry of Springfield, Missouri; two daughters, Pamela Vaughn of Springfield and Lisa Perry of Bolivar, Missouri; two brothers, Nick Major of Kimberling City, Missouri and Randall Major of Ashland City, Tennessee; 11 grandchildren; two great-grandchildren and several nieces and nephews. Katherine was preceded in death by her parents, Edward and Joyce, and son, Jesse Romine. A visitation will be held from 1:00-2:00 p.m. on Monday, March 25, 2019, at the Fossett-Mosher Funeral Home in Mt. Vernon with a memorial service to follow at 2:00 p.m. in the funeral home chapel. To plant a tree in memory of Katherine Major Holman, please visit our Tribute Store. "Email Address" would like to share the life celebration of Katherine Major Holman. Click on the "link" to go to share a favorite memory or leave a condolence message for the family.